IMCDb.org: 1989 GMC Sierra SL in "Killer Wave, 2007"
What's the point of a pickup truck without a tailgate? What's more, pickup belonging to the federal agents. 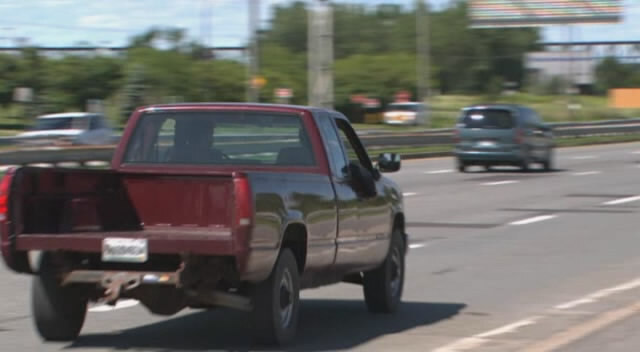 It is overly common for pickup trucks to be designed so their tailgates can be removed. Most are designed so that the tailgate can be removed without using any tools. Moreover, only one person is needed to remove the tailgate, unless the tailgate itself is heavy, then two people may be needed. Why? So larger, specifically longer, items can be placed within the pickup box. Or when using a fith wheel trailer.